All 4 installments of the Met's "Ring" cycle will be shown in movie theaters around the world. In the US and Canada, the cycle begins May 9. Dates vary in other countries. The Metropolitan Opera will present worldwide movie theater screenings of Robert Lepage’s new production of Wagner’s Der Ring des Nibelungen, as well as Wagner’s Dream, a new documentary chronicling the creation of this ambitious new staging. In the United States and Canada, the series will begin 7 May 2012 with a screening of the documentary, directed by award-winning filmmaker Susan Froemke, and continue on 9 May with Das Rheingold, the first opera in the cycle. The entire four-part Ring cycle and documentary will be screened in many countries this spring and summer. Tickets go on sale in the U.S. on Friday, March 30 and in Canada on Friday, April 6. To order tickets or get more information on screening times and locations, please visit www.metopera.org/liveinhd. The stakes could not be higher as visionary director Robert Lepage, some of the world’s greatest operatic artists, and the Metropolitan Opera tackle Wagner's Ring cycle. An intimate look at the enormous theatrical and musical challenges of staging opera’s most monumental work, the film chronicles the quest to fulfill Wagner's dream of a perfect Ring. In the first opera in the Ring cycle, the gods of Valhalla clash with underworld dwarves and brawny giants, with disastrous consequences. The evil Alberich steals gold from the Rhine and uses it to forge a ring of unimaginable power. Wotan, the king of the gods, uses magic to steal the Ring, but Alberich places a curse that guarantees misery for whoever wears it. Wotan’s unwillingness to part with the ring leads him to break a contract with the giants who have built the gods’ new castle in the sky, setting in motion a chain of events that will end in his own destruction. The mysterious hero Siegmund finds shelter in the strangely familiar arms of a lonely woman named Sieglinde. Their forbidden love leads Wotan’s daughter, the warrior maiden Brünnhilde, to defy morality and intervene on behalf of the hero. Brünnhilde’s transgression forces her father to choose between his love for his favorite daughter and his duty to his wife, the formidable goddess Fricka. Overcome with grief, Wotan takes away Brünnhilde’s godlike powers and puts her to sleep on a mountaintop, surrounded by a ring of magic fire that can only be crossed by the bravest of heroes. U.S. Screenings: Wednesday, May 16 at 6:30 p.m.
Canada Screenings: Thursday, May 17 at 6:30 p.m. The young hero Siegfried grows up in the wilderness, raised by Alberich’s conniving brother Mime. He puts together the broken pieces of the sword Nothung, uses it to slay the fearsome dragon Fafner, and takes the Ring for himself. To fulfill his destiny, he must overcome one more opponent—Wotan, now disguised as the Wanderer, who knows the world of the gods is coming to an end—and cross through the magic fire to awaken his true love, Brünnhilde. U.S. Screenings: Saturday, May 19 at 12 p.m.
Canada Screenings: Saturday, May 19 at 10 a.m.
Siegfried and Brünnhilde’s love is torn apart by the curse of the Ring. A trio of scheming humans separates the two heroes in a desperate attempt to steal the Ring for themselves. Their villainous plan fails, but they succeed in murdering Siegfried. Heartbroken, Brünnhilde takes the Ring and leaps into the hero’s funeral pyre, causing a global cataclysm and the twilight of the gods. “Parsifal is a mythic narrative, full of sexual debauchery and religious dogma. The Flying Dutchman opens at the London Coliseum on 28 April for 7 performances – 28 April & May 1, 12, 16, 18 and 23 at 7.30pm and May 5 at 6.30pm. Director Jonathan Kent and ENO’s Music Director Edward Gardner work together on their first Wagner opera, The Flying Dutchman. 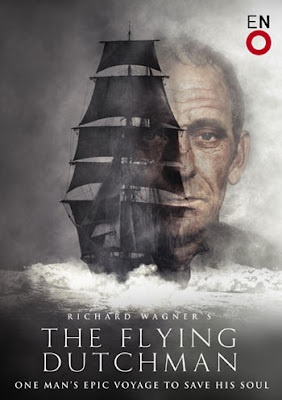 Following ENO’s production of Parsifal in 2011, director Jonathan Kent and ENO’s Music Director Edward Gardner work together on their first Wagner opera, The Flying Dutchman. One of Wagner’s earliest operas to feature the theme of redemption through death, ENO’s new production of The Flying Dutchman builds on the critical success of 2011’s Parsifal – “a staging that is as good as any Wagner seen in London in the last 20 years” (The Guardian) – highlighting ENO’s commitment to produce highly theatrical world-class opera. ENO’s production of The Flying Dutchman is the first Wagner opera for both director Jonathan Kent and conductor, ENO’s Music Director, Edward Gardner. Jonathan Kent, a former Artistic Director of the cutting-edge Almeida Theatre, is an opera director in demand from Santa Fe to St Petersburg. His production of Sweeney Todd for Chichester Festival Theatre recently opened in London’s West End and has been described as “grim and gripping” (The Times) and “easily the finest I’ve seen” (Evening Standard). The Flying Dutchman follows Kent’s 2005 acclaimed production with ENO of Tippett’s A Child of our Time. Completing the creative team is internationally-renowned designer Paul Brown and multi award-winning lighting designer Mark Henderson.Brown and Henderson worked with Kent and Gardner on the 2007 production of The Turn of the Screw at Glyndebourne. Henderson is the winner of 5 Olivier Awards, 1 Welsh BAFTA and a Tony Award for Lighting Design. Leading the cast is American bass, James Creswell. James made his ENO debut in 2009 at Timur in Rupert Goold’s Turandot and returns to ENO to sing The Dutchman for the first time. Orla Boylan, who sang “a radiant” (Independent on Sunday) Sieglinde in ENO’s The Valkyrie, sings Senta. Clive Bayley, who has sung many leading roles at ENO and other UK opera houses, plays Daland. Playing Erik is Stuart Skelton, who was highly praised for his role as the eponymous hero in ENO’s production of Parsifal in 2011. Skelton was nominated for an Olivier Award for his performance in the title role of Peter Grimes in ENO’s 2010 production, with Opera Magazine saying, “it's hard to imagine that Stuart Skelton could be bettered as Grimes”. Launching in mid-March, ENO is developing a mobile application in order to introduce newcomers to Wagner’s work. The application will feature exclusive video and audio footage as well as inviting users to recreate their own image in Wagnerian costume and accessories. ENO is the first UK opera house to use an application in this way to promote a specific work to new audiences, highlighting ENO’s work in extending the boundaries of opera. In 2013 Opera Australia presents Der Ring des Nibelungen (The Ring Cycle) at the Arts Centre, Melbourne. 2013 marks the 200th anniversary of the birth of Richard Wagner. So, during November and December 2013, Opera Australia will perform three complete cycles of the four mighty operas which make up his epic vision. Director Neil Armfield and conductor Richard Mills lead this production, supported by film and theatre designer Robert Cousins. The international cast includes English soprano Susan Bullock as Brünnhilde, Finnish bass-baritone Juha Uusitalo as Wotan, American Heldentenor Gary Lehman as Siegfried and Australian Helden baritone John Wegner as Alberich. Further casting details will be announced over the coming months. Tickets for The Melbourne Ring Cycle will go on sale later in 2012. David Conway on "Jews, Music and Wagner"
Tash Siddiqui on the 1929 Krolloper production of Der fliegende Holländer: "Flying the republican colours"
Arnold Whittall on "The Giants and the Ring". The Wagner Journal is a periodical that seeks to examine Wagner and his works from a variety of perspectives – musicological, historical, literary, philosophical and political – and to illuminate the unique appeal of this endlessly fascinating composer. The journal aims to bring the questions surrounding the theory and practice of staging and performing Wagner to a wider audience, in that way furthering our understanding of his operas as theatre. 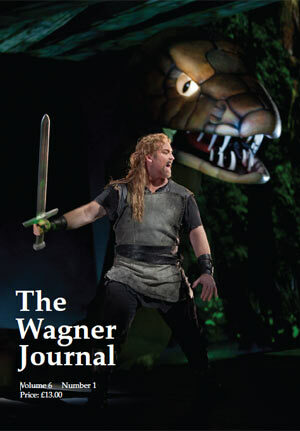 The Wagner Journal appears three times a year (March, July and November) and is published both in print form and online. Individual articles are also available for downloading. The journal is published and distributed independently. For a free introductory (electronic) copy, e-mail thewagnerjournal@btinternet.com. 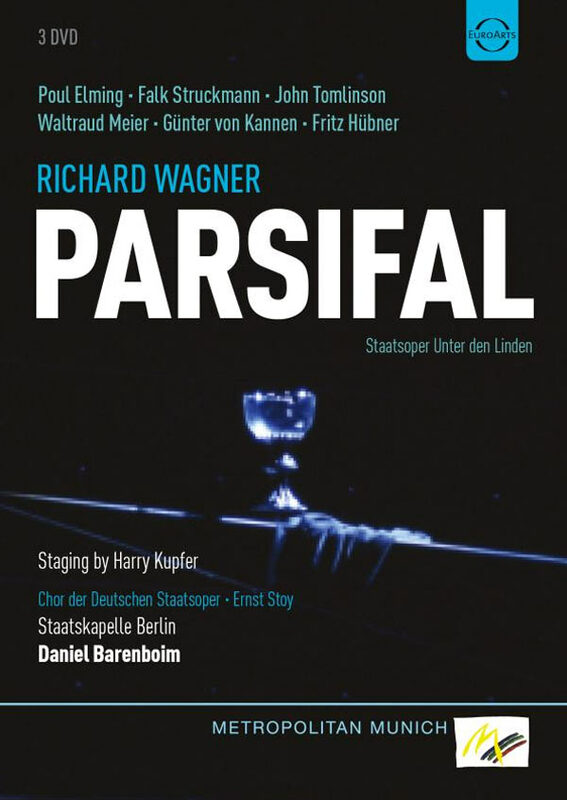 The long awaited Parsifal production from 1992 by Harry Kupfer will be released in March by EuroArts. This production marked Daniel Barenboim’s appointment as the artistic director of the Berlin State Opera. The cast is made up of the finest Wagnerian singers of the period, all of whom enjoyed substantial international careers. All the principle singers - Poul Elming, Falk Struckmann, John Tomlinson, Waltraud Meier, Günter von Kannen and Fritz Hübner celebrated successful achievements at the Bayreuth Festival around the time of this production. Staatskapelle Berlin conducted by Daniel Barenboim. The production has previously been released on VHS. In its second year, the Baldwin-Wallace College Conservatory of Music’s Wagner Intensive, a program created to help launch the careers of singers exploring the Wagnerian repertoire, will expand to 10 days of training. The Intensive will be held from Wednesday, July 18 to Saturday July 28, 2012 in the newly renovated B-W Conservatory of Music facility. Top Wagner singers and teachers Jane Eaglen and Timothy Mussard will lead the Intensive as co-artistic directors. Mature singers who are exploring the Wagnerian repertoire are encouraged to submit an audition by April 1, 2012 for consideration. During ten days of intensive training, singers will participate in private lessons, repertoire coachings, scene study, German language study, staging rehearsals, and master classes. In addition to instruction with Eaglen and Mussard, participants will interact with top Wagner coach / conductors Eric Weimer and William Vendice and guest master class artist Baritone Gordon Hawkins. Participants will present two final public performances on Saturday, July 28th in the recently re-opened Gamble Auditorium. Jane Eaglen, artist faculty member and co-artistic director of the Intensive, has one of the most formidable reputations in the opera world today, including roles of Isolde (for the Metropolitan Opera, Seattle Opera, Teatro Liceu Barcelona, Lyric Opera of Chicago and in Puerto Rico); Norma (for the Metropolitan Opera, Seattle Opera, Ravenna Festival with Maestro Muti, and the Bastille); and Brünnhilde (performed in Chicago, Seattle, San Francisco, Milan, New York, Oslo and the UK). Timothy Mussard, artist faculty member and co-artistic director of the Intensive, is one of America's most distinguished Heldentenors with a career which has taken him all over the world in roles such as Herold in Salome, Erik in Der fliegender Holländer, Florestan in Fidelio, Radames in Aida, Siegfried in Der Ring des Nibelungen, and numerous other roles. Coach / Conductor Eric Weimer has established himself as one of the pre-eminent coach / Assistant Conductors in the international opera world and is currently on the music staff at Chicago Lyric Opera. Conductor William Vendice was Head of Music Staff and Chorus Master at Los Angeles Opera from 1995 to 2007. Master class guest artist Gordon Hawkins’ operatic career has included a wide range of roles in some of the world’s most prestigious houses. He regularly appears in leading Wagner roles across the globe. I am warming up for the event with one of my favourite conductors, Leonard Bernstein. Here's the prelude to Tristan, Act 1. Symphonie-Orchester des Bayerischen Rundfunks. From the concerts in Herkulessal, Munich, used for the recording (now difficult to find). Do you like it or is it too slow?